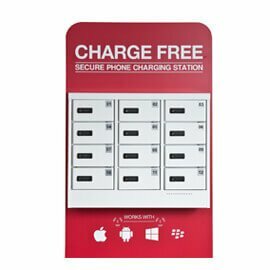 We design and rent mobile device charging equipment, supplying both events and long-term installations. We have a wide range of battery or mains powered Poseur, Bistro and Bench charging tables as well as table-top menu chargers. We have both battery and mains powered Barrel chargers which are ideal for outdoor or indoor use. We have several different types of portable chargers ranging from shelf chargers to hand-held units which enable a user to charge & continue using their phone while at an event/venue. 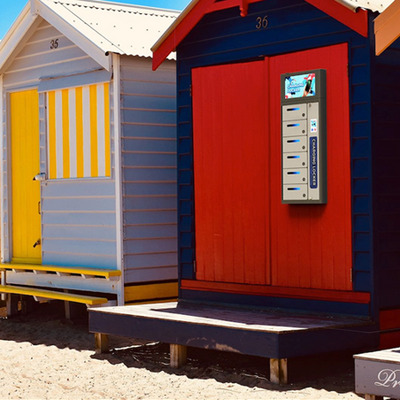 Our secure locker range varies from card operated, video and screen display kiosks through to combination-lock, cabinet-style units. 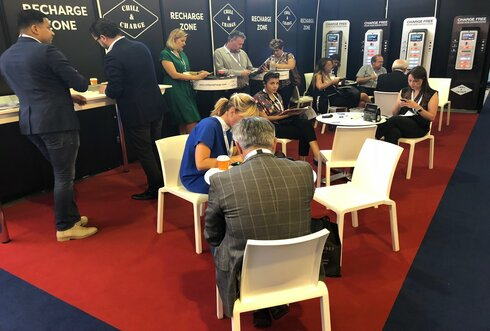 We create unique ‘Chill & Charge zones’ at events for clients which enable them to leverage mobile recharging interactions, to engage with customers via branded messaging, and to deliver advertising content and collect data. The Chill & Charge Charging Trailer is ideal for outdoor events and is capable of charging up to 350 mobile devices at once! Chill & Charge is the trading name of Potential Group Ltd (Co. Reg. 10582085). Suite 104, 30 Rugby Road, Twickenham, TW1 1DG, UK.